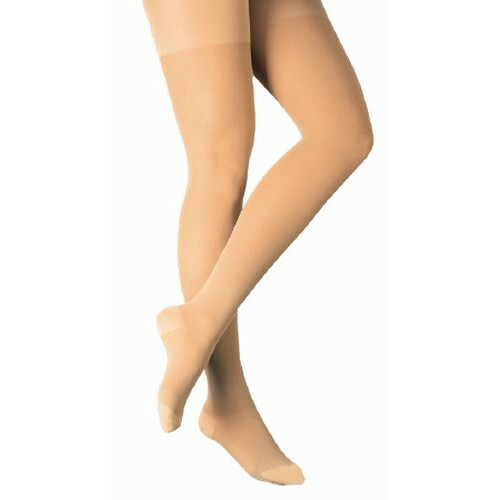 Do the thigh high 20/30 closed toe compression stockings come in black? Do you need measurements in order for me to place an order or are they one size fits all? These specific stockings are not available in black. There are other knee-high stockings available in a black color. You'll find them under the compression stockings page.